A total of $131,000 was spent on June’s Measure A campaign — $105,000 of it by the Yes on A independent expenditure committee. Yes on A received $68,000 in cash donations and 37,000 in non-monetary donations, with 90 percent of the total ($97,000) coming from out-of-state PACs and interest groups. The principal to the Yes campaign donor was Maryland-based ranked choice voting advocacy group FairVote, with total donations of campaign staff, materials, services and cash totaling $47,500. The next biggest donation to Yes was $45,000 from the Texas-based dark money PAC, Action Now LLC. No on A received $16,200 in cash and in-kind donations 6 percent ($1,000) from two political committees (San José-based Asian American For Community Involvement and International Brotherhood of Electrical Workers local 232 Issues Committee). The No committee also received another 6 percent of its donations ($1,000) from individuals employed in the law firms prosecuting the recent voting rights lawsuit. 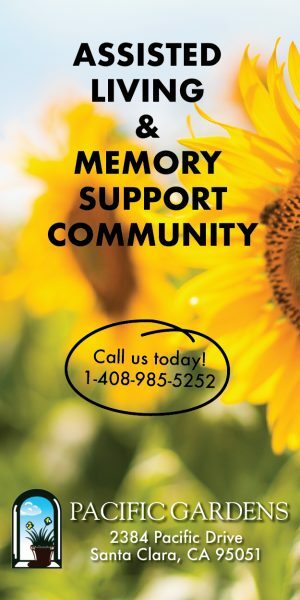 The No committee ended the campaign $9,000 in debt, which the committee hopes to retire with a fundraiser this month, according to committee chair Paul Fong. Yes on A also hired Ian Crueldad, who came to prominence in May after making accusations of improper conduct against former Santa Clara Council Member Dominic Caserta while Crueldad was the campaign manager for Caserta’s County Supervisor campaign. Also on the Yes on A payroll was ad hoc Districting Committee Chair, Yuki Ikezi, who was paid $250 for translations. While Yes on A got its strategic political advice from FairVote field representative Margaret Okuzumi, No on A hired local campaign consultant and lobbyist Eric Stroker as its political advisor. 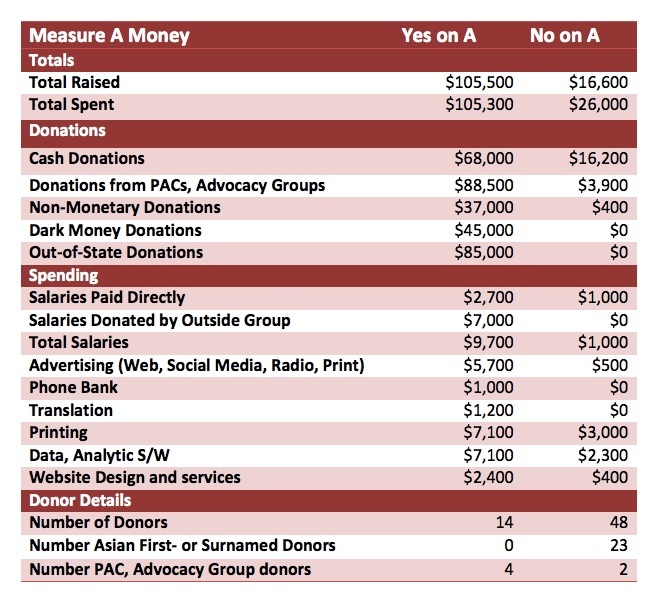 Measure A won in predominantly Asian precincts of the Santa Clara, showing a positive return on the committee’s $1,200 investment in translating its campaign ads. By contrast, Yes’s spending on web and social media advertising didn’t translate to results, even though the committee spent five times what No spent on advertising (a single print ad). Correction: A previous version of this article said Ian Crueldad was a political intern — he was a campaign manager. We apologize for the mistake. 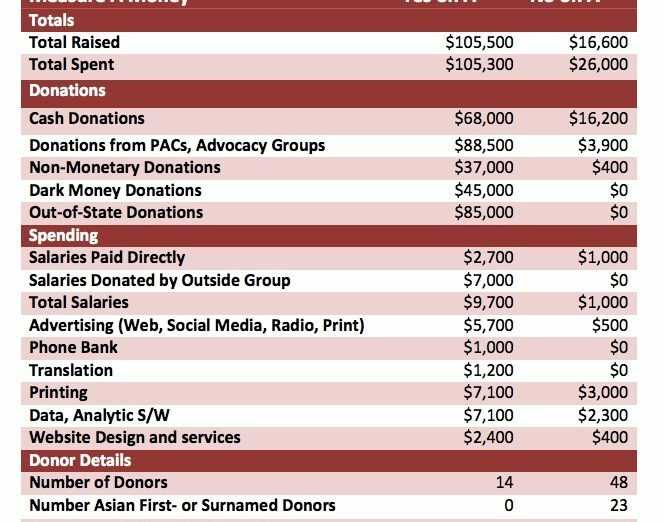 Interesting Point 1: “next biggest donation to Yes was $45,000 from the Texas-based dark money PAC, Action Now LLC” – interesting because a certain City Clerk candidate (Hosam Haggag) was speculating that No on A was funded by dark money (even going so far as to say it was 49er money), when it was actually the Yes on A side that he was promoting which was funded by dark money! Interesting Point 2: “on the Yes on A payroll was ad hoc Districting Committee Chair, Yuki Ikezi, who was paid $250 for translations” – interesting because I don’t recall her disclosing that!